I am old enough to remember watching Walt Disney’s Wonderful World of Color on a black & white television. I had to use my imagination to fill in the colors back then. Today, very thankfully, color abounds everywhere we look and visit at Walt Disney World. I am a big fan of color photography and use color as much as I can to tell stories in my work. 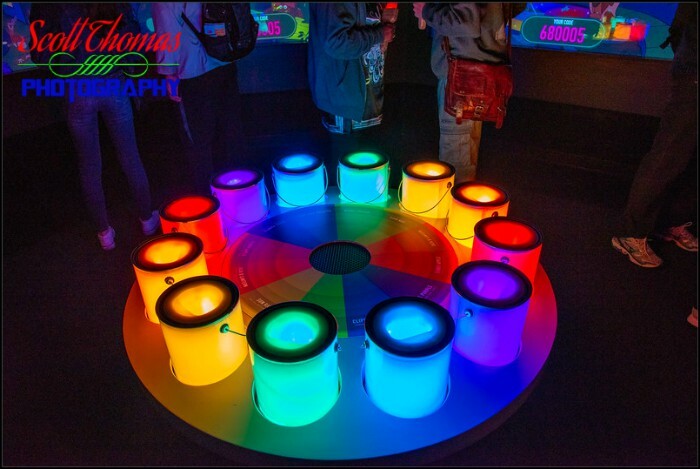 I was recently fascinated with Epcot’s Innoventions East Colortopia Presented by Glidden Paint exhibit. Inside was the Color Our World interactive display with these Digital Paint Buckets. I could not resist the rainbow of colors. Color Our World’s Digital Paint Buckets interactive exhibit which is part of Glidden’s Colortopia inside Innoventions East at Epcot’s Future World in Walt Disney World, Orlando, Florida. Nikon D750/24-120VR, 1/125s, f/5, ISO 1600, EV +0.3, 24mm Focal Length. For me, the photo was one of color for color’s sake. Later, as I explored the Morocco pavilion in Epcot’s World Showcase, I found an excellent use of color outside The Brass Bazarr. The red in the tall brass pieces draws your eyes directly to the shop’s sign. 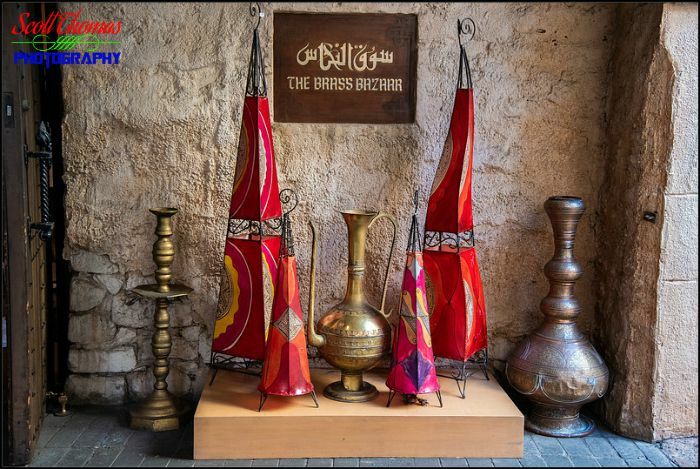 The Brass Bazarr shop in the Morocco pavilion of Epcot’s World Showcase at Walt Disney World, Orlando, Florida. Nikon D750/24-120VR, 1/125s, f/4, ISO 1600, EV 0, 44mm Focal Length. I am also a fan of the many textures seen in this photo. Color foods or, in this case, beverages are fun to photograph. 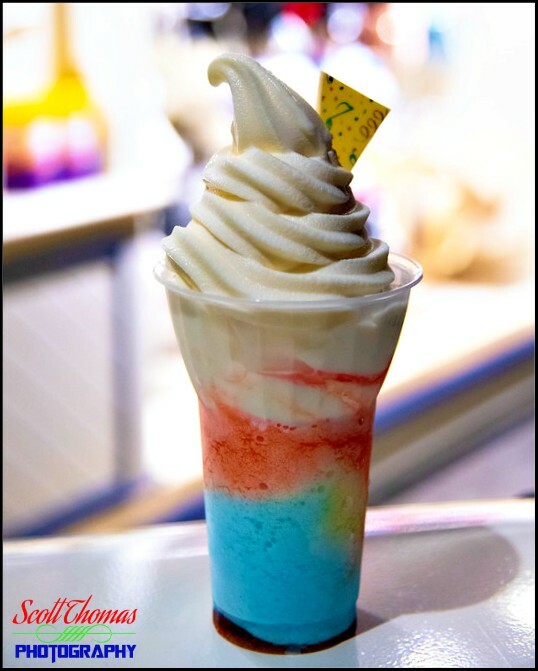 Being at night, I put the Festival of the Arts Musical Float drink, which was sold at the America Adventure pavilion, in front of a brightly lighted stand. Festival of the Arts Musical Float drink in the America Adventure pavilion of Epcot’s World Showcase at Walt Disney World, Orlando, Florida. Nikon D750/24-120VR, 1/15s, f/4, ISO 1800, EV 0, 58mm Focal Length. Opening up the aperture of the lens to its widest point (f/4), I got very pleasing bokeh in behind it. By the way, it was as yummy as it was colorful. 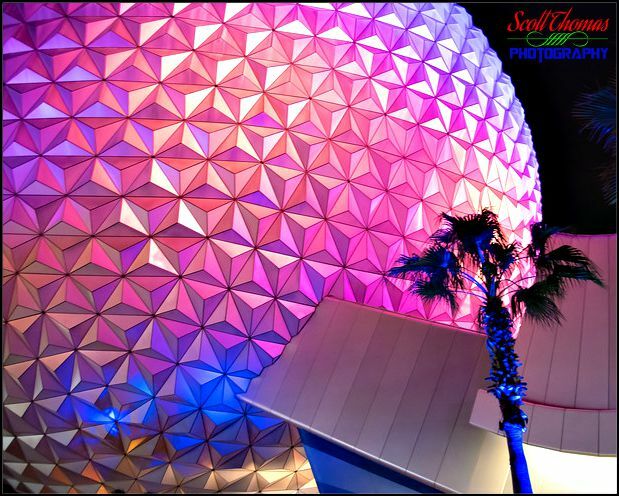 Walking out of Epcot at night, I can never pass Spaceship Earth without photographing the beautiful colors Disney lights it with. Spaceship Earth lighted at night in Epcot’s Future World at Walt Disney World, Orlando, Florida. Nikon D750/24-120VR, 1/15s, f/4, ISO 6400, EV 0, 24mm Focal Length. It is as magnificent as the planet it was built upon. Do you like color photography or do you prefer black and white? And, why?